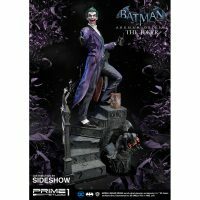 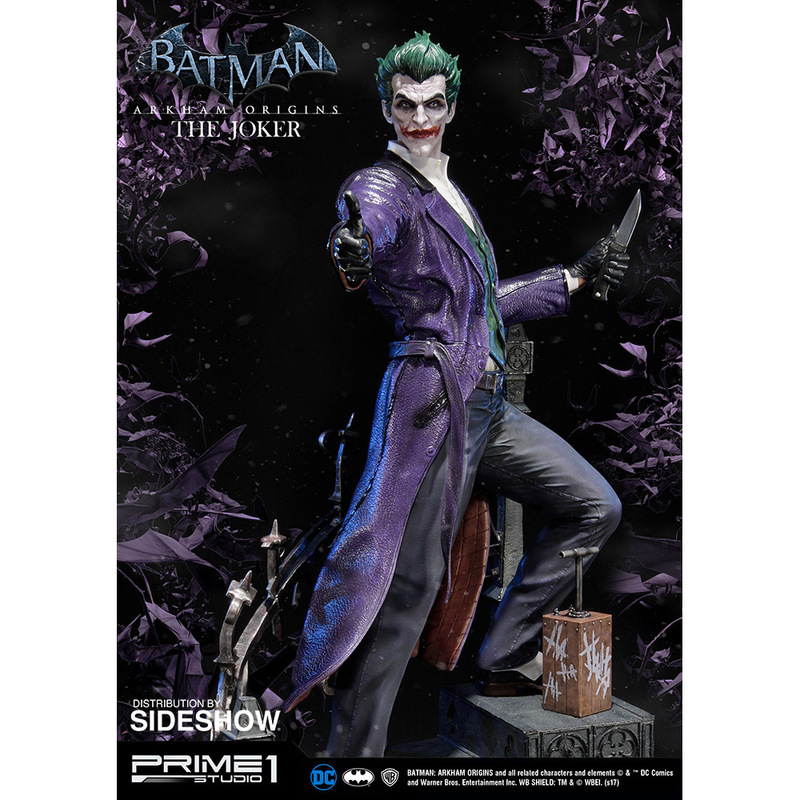 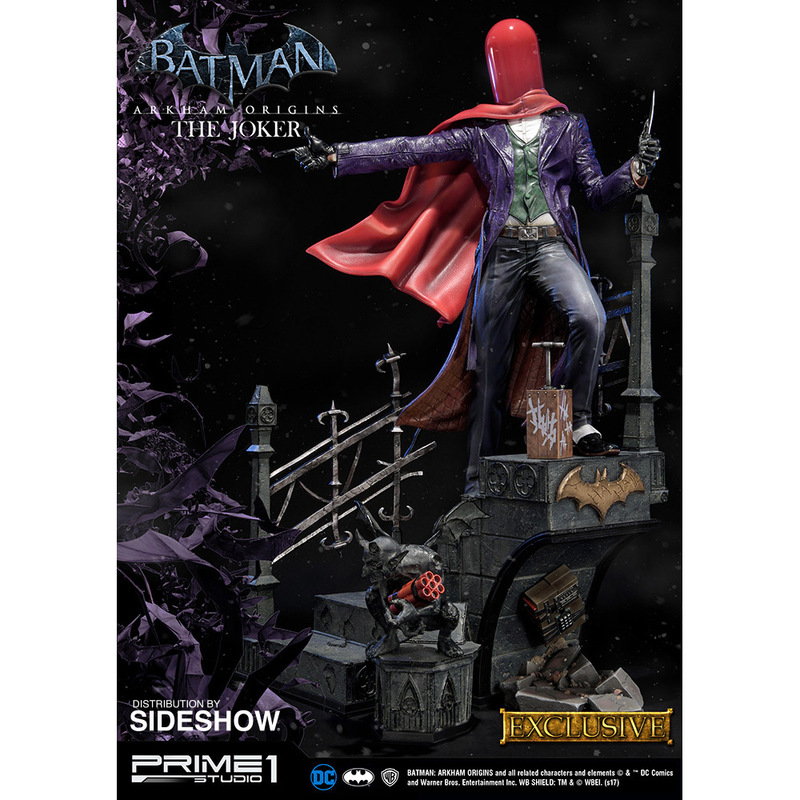 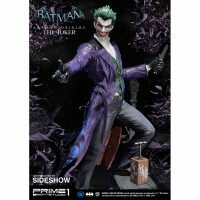 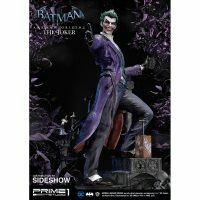 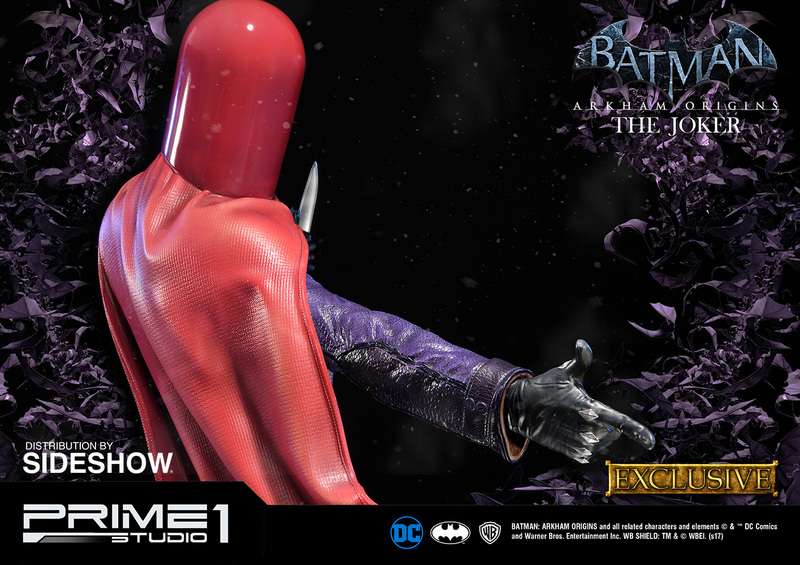 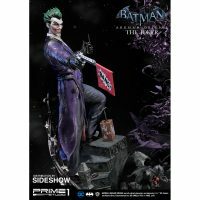 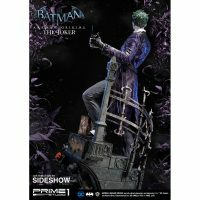 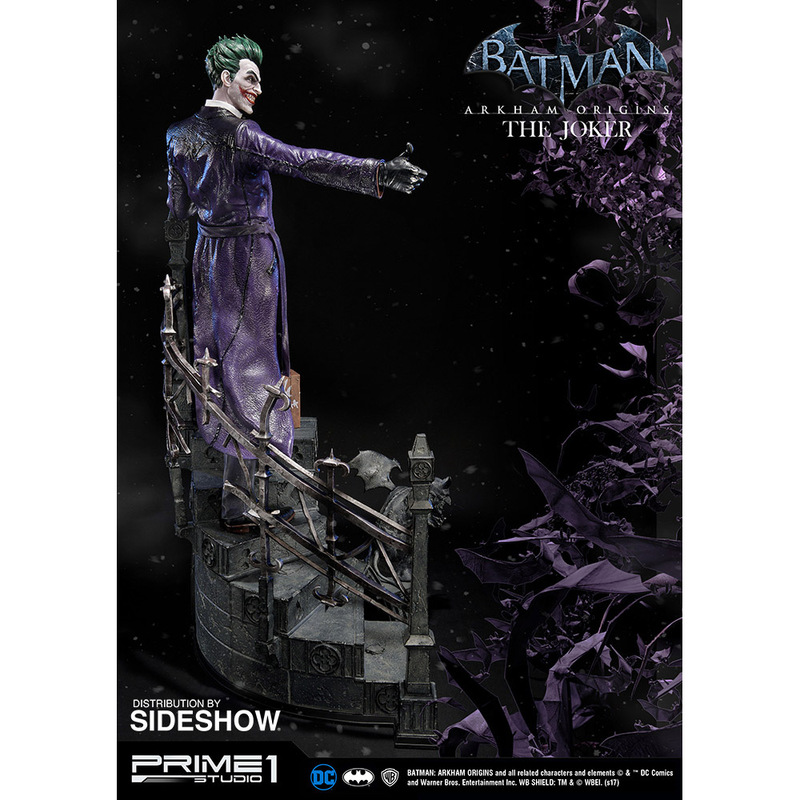 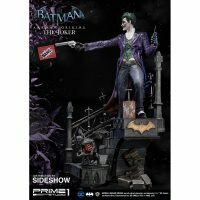 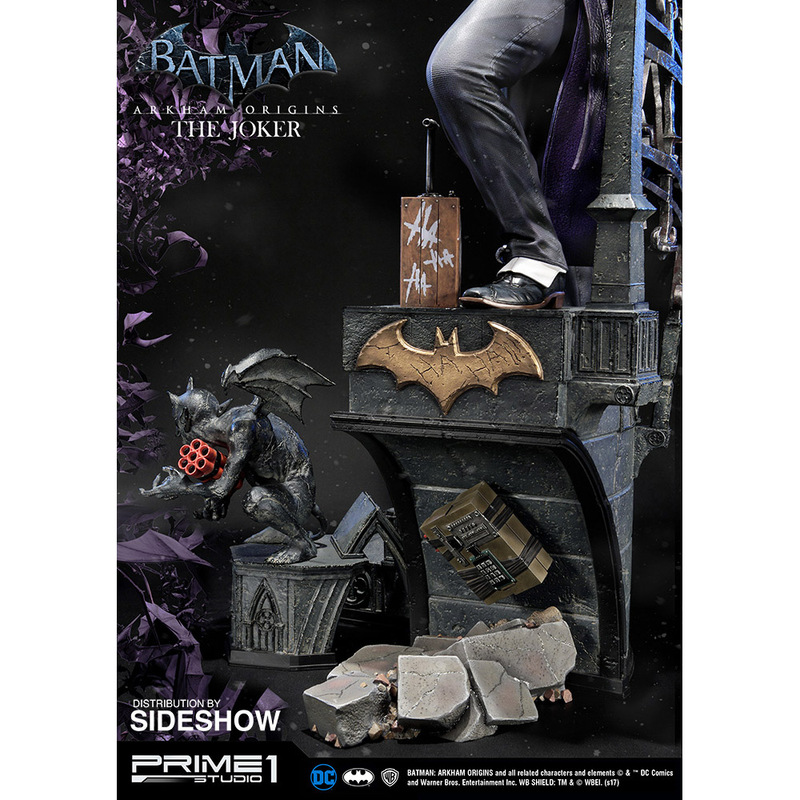 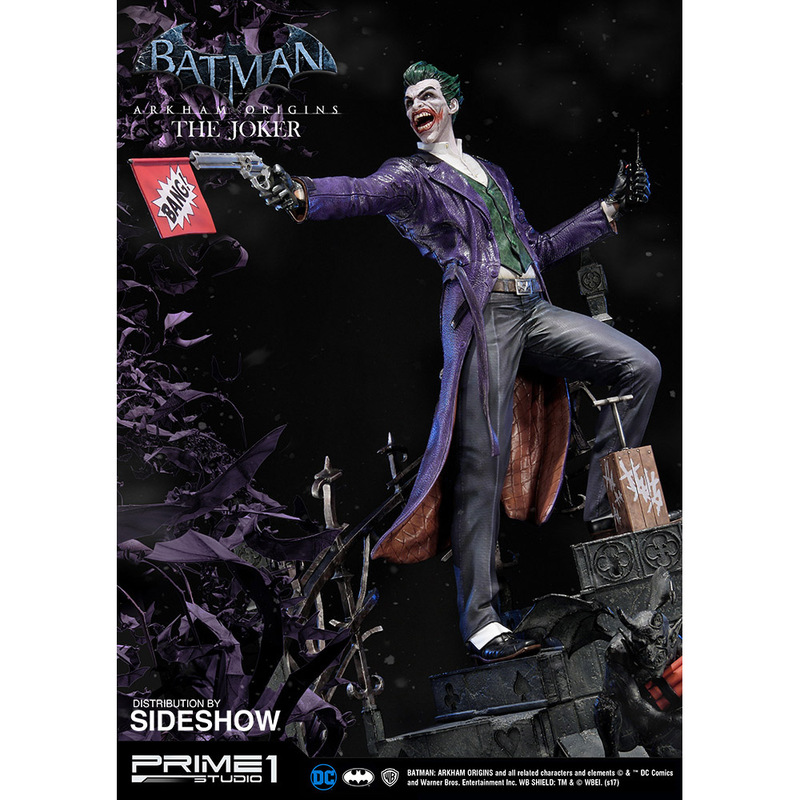 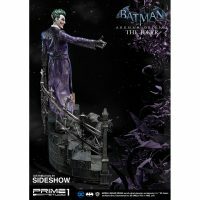 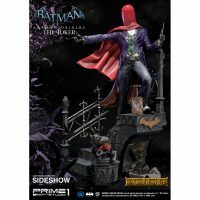 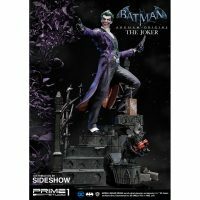 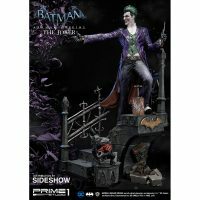 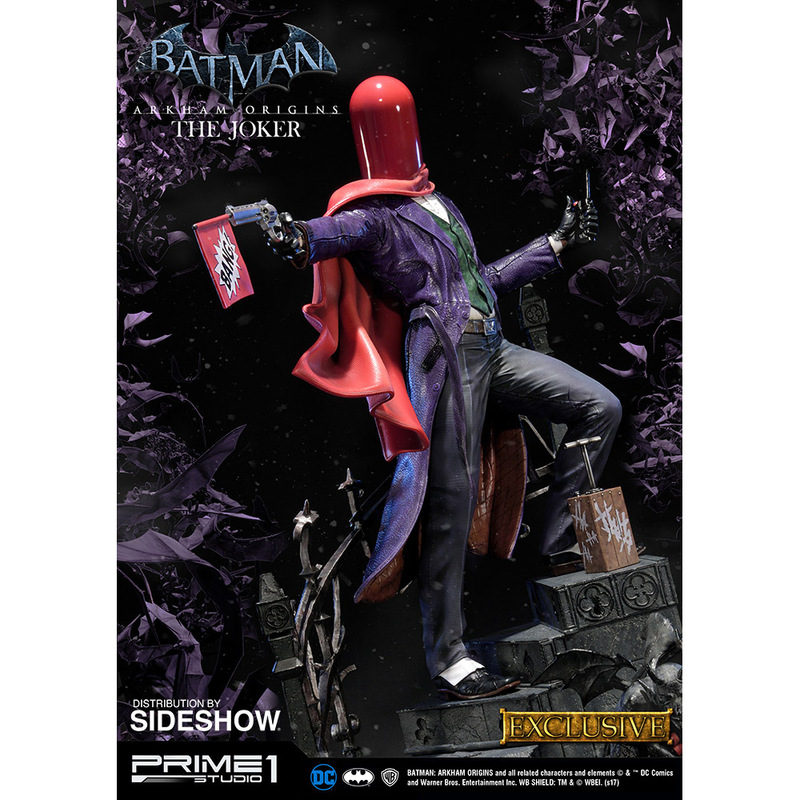 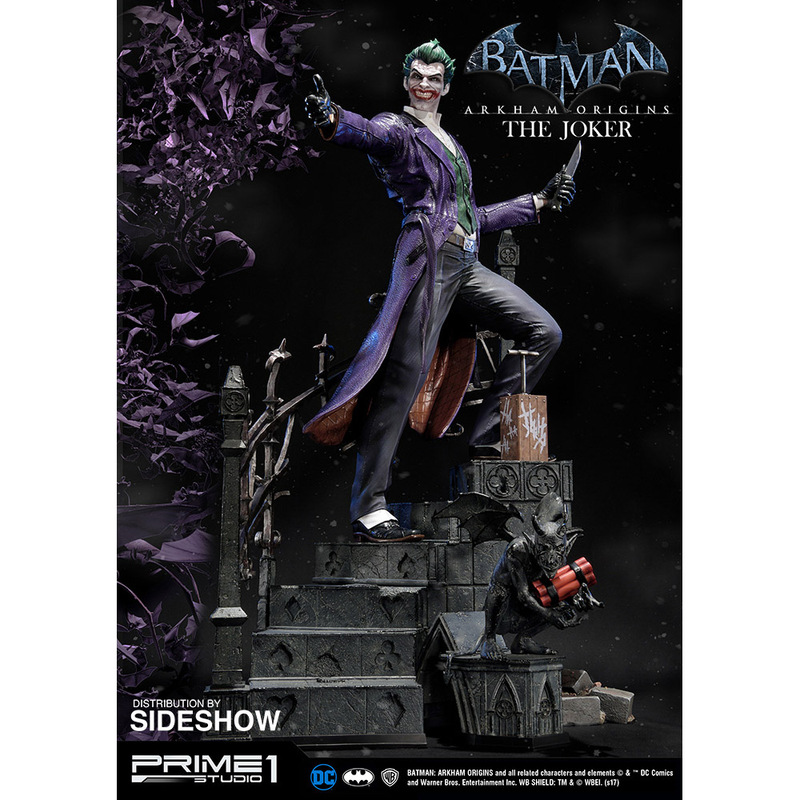 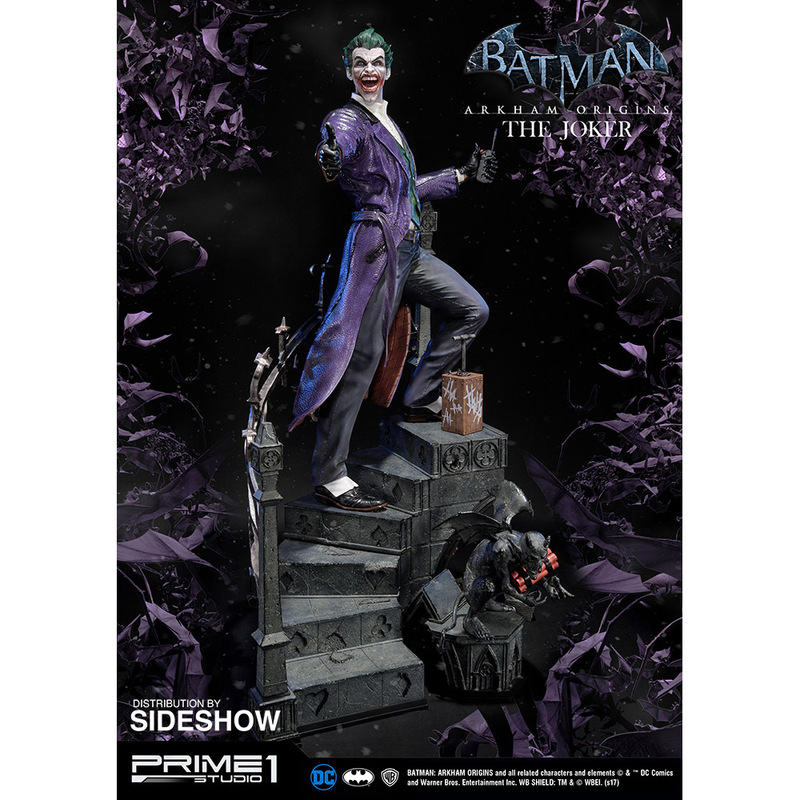 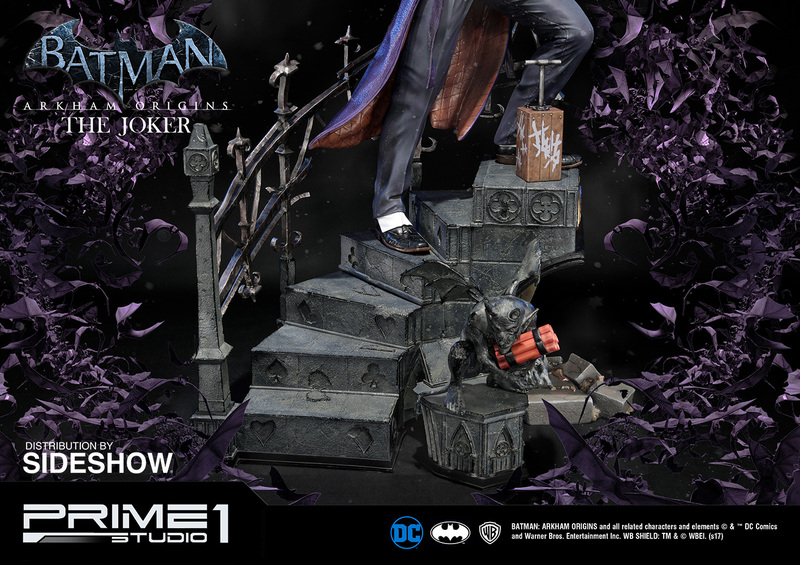 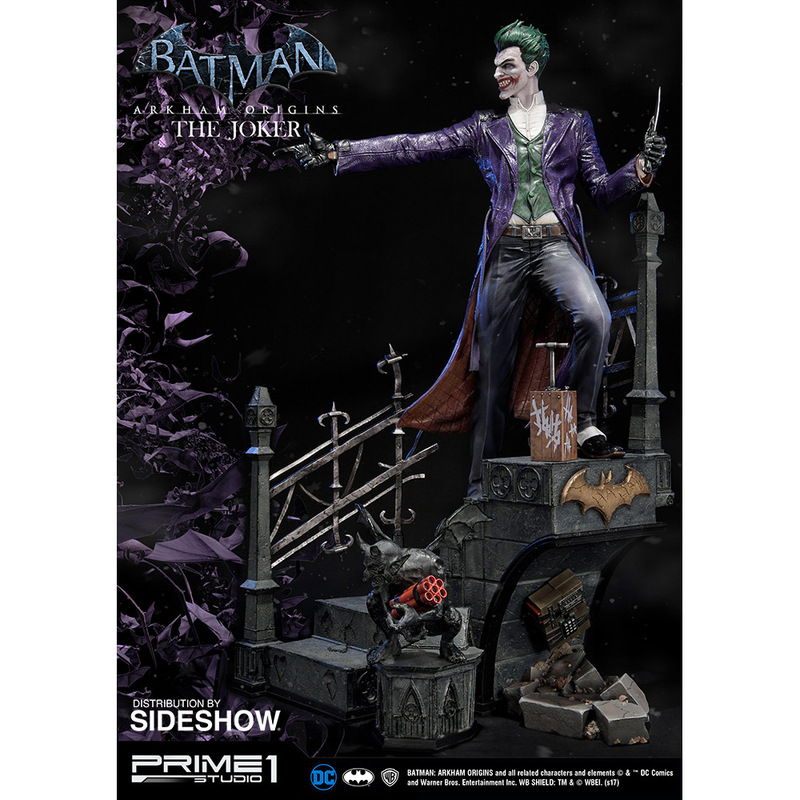 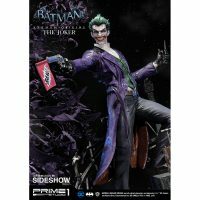 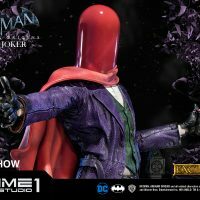 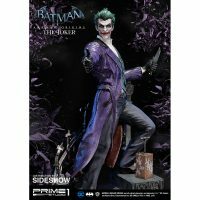 The Clown Prince of Crime is looking for a Bat to kill as the Batman Arkham Origins The Joker Statue. 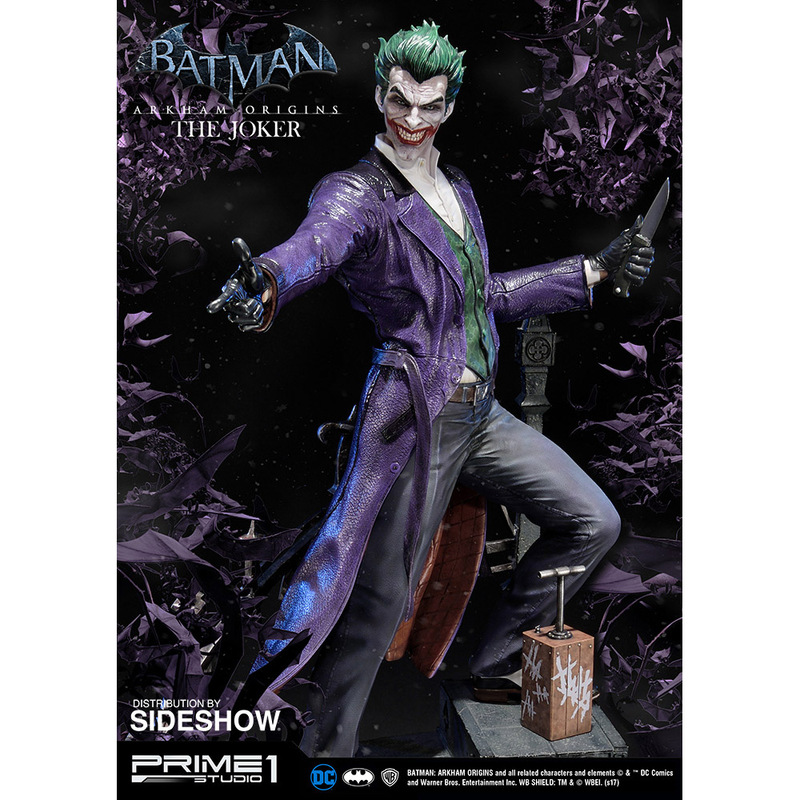 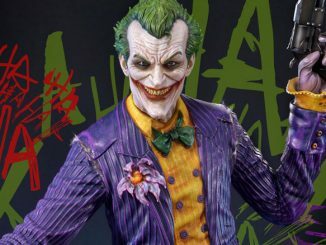 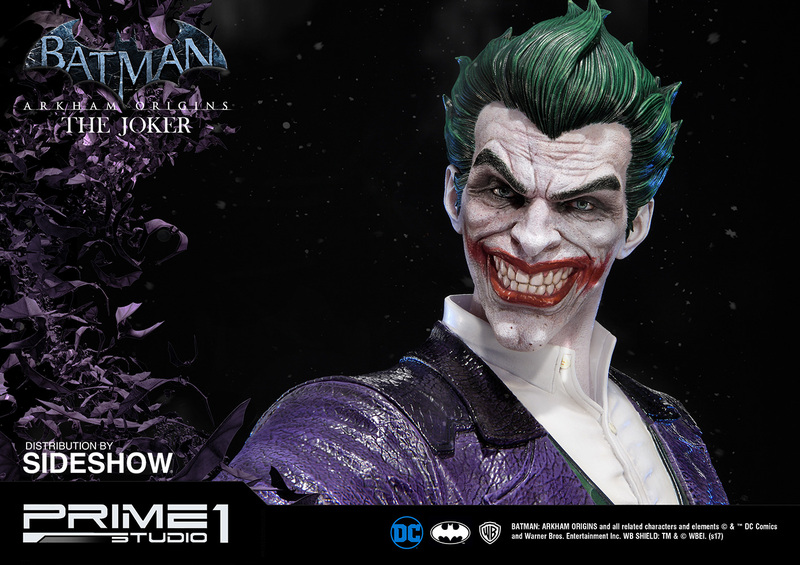 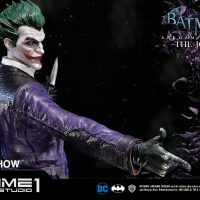 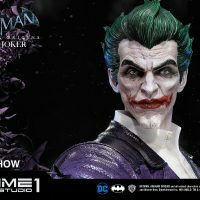 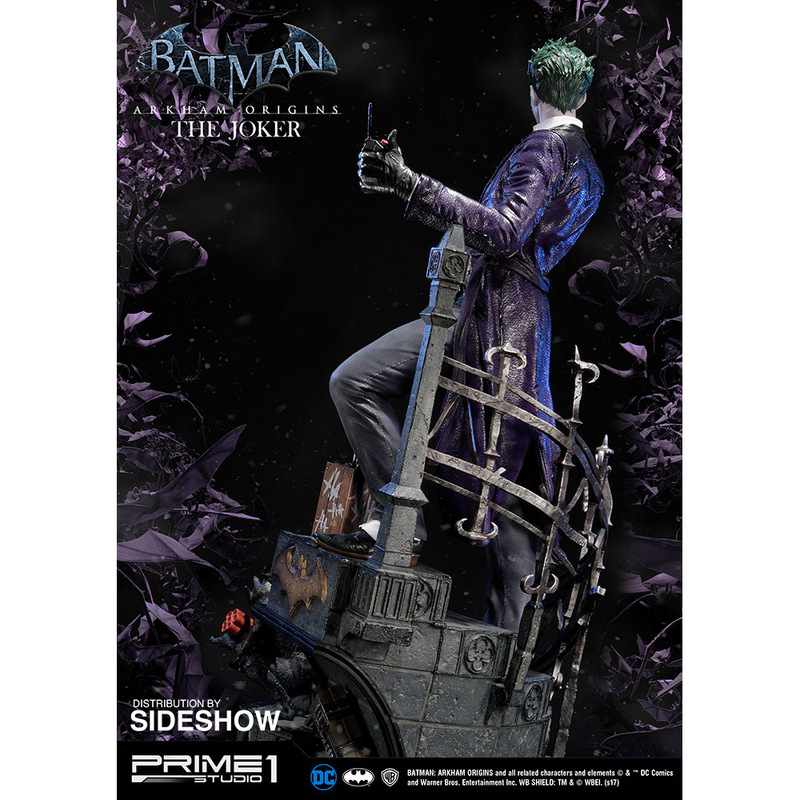 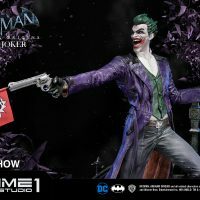 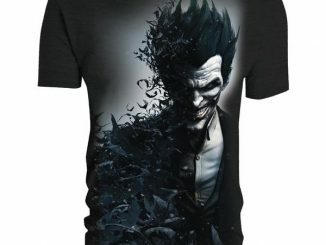 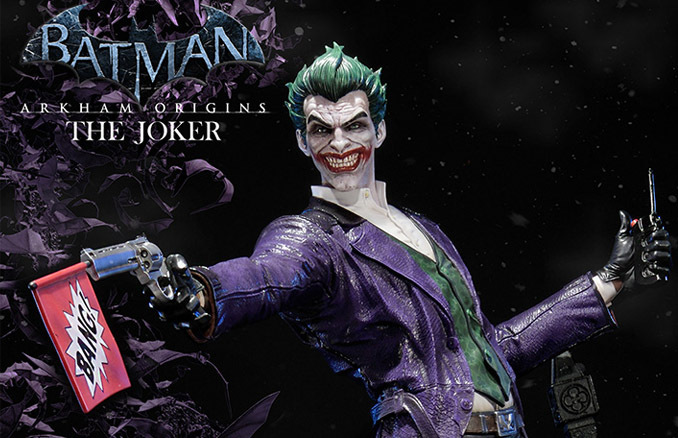 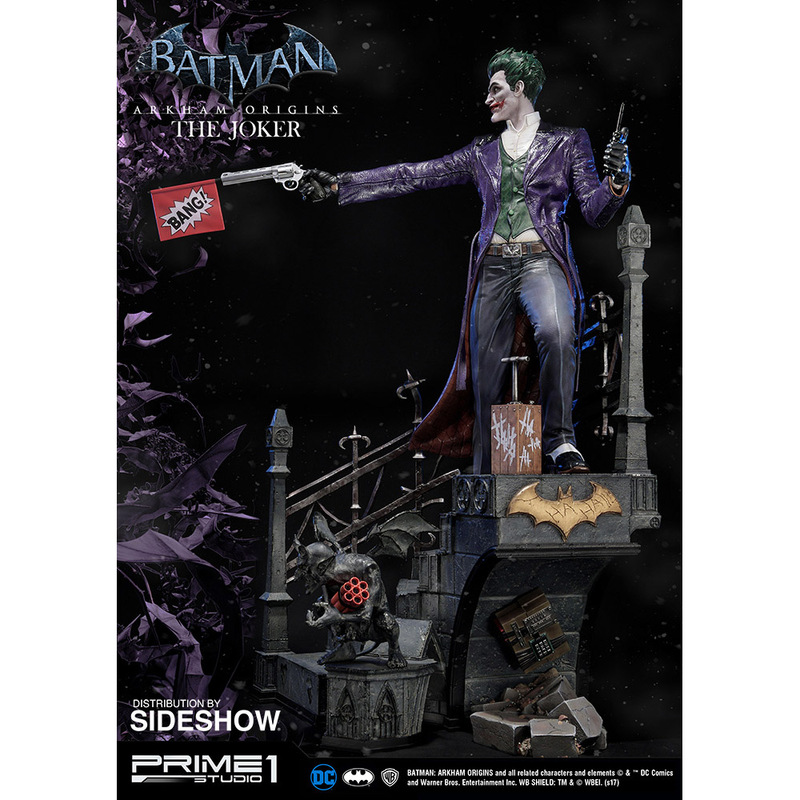 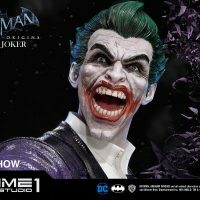 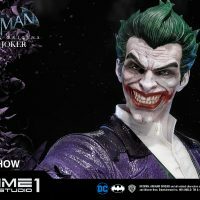 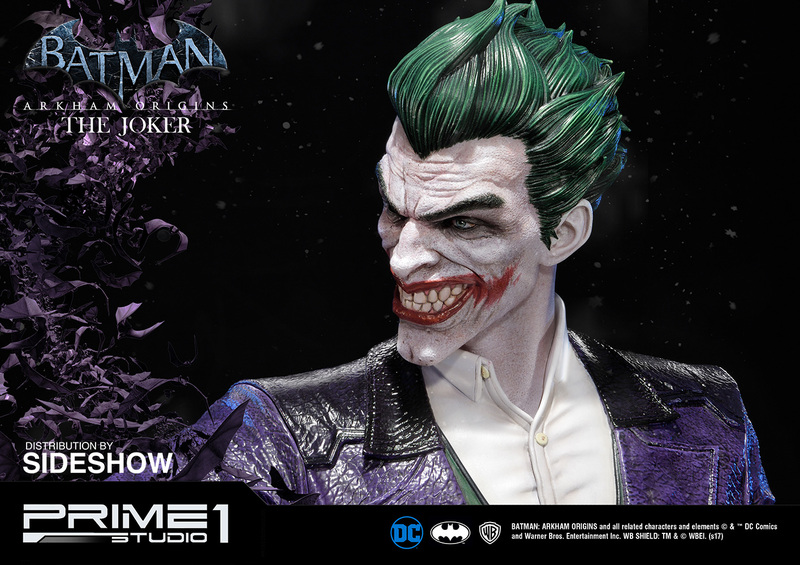 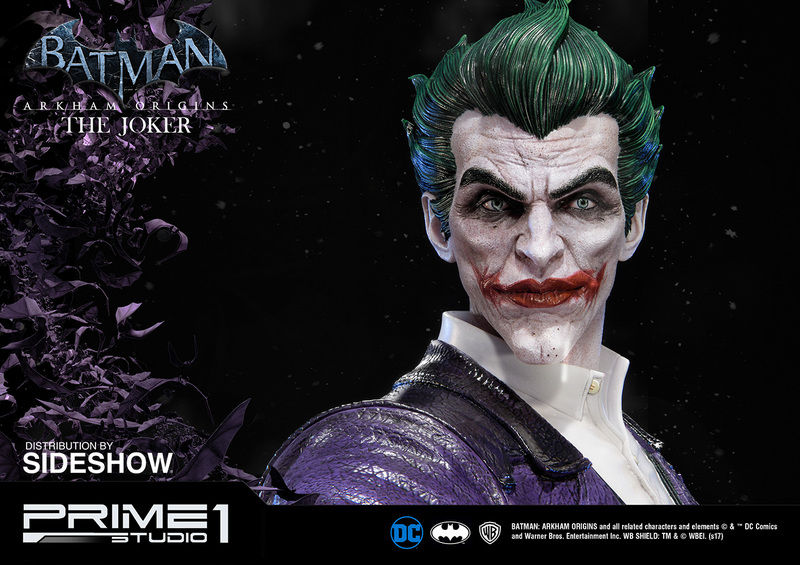 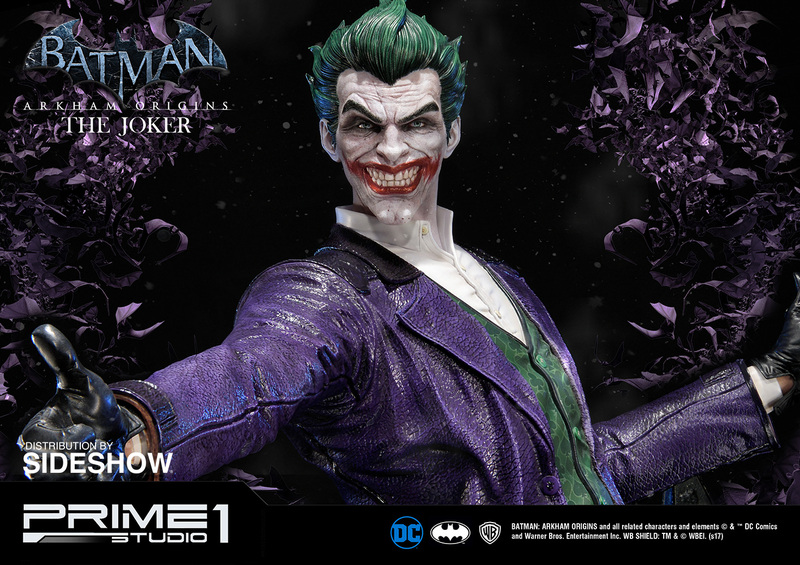 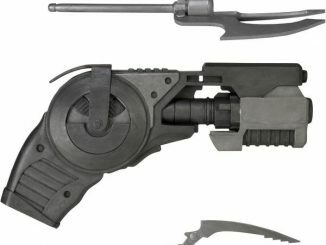 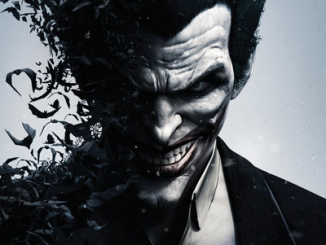 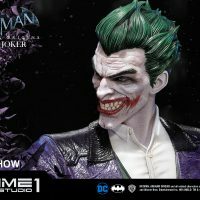 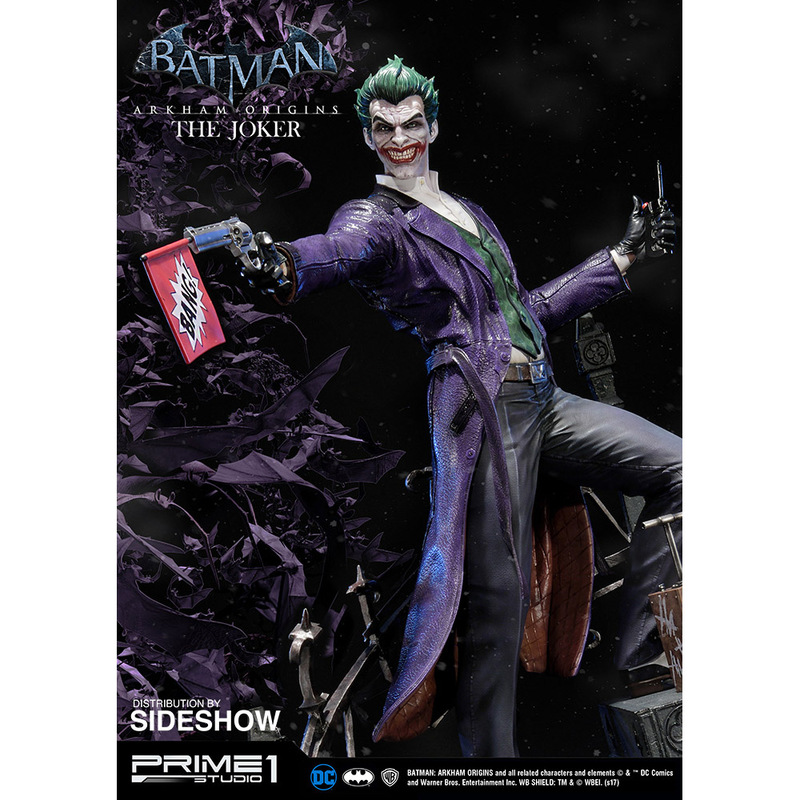 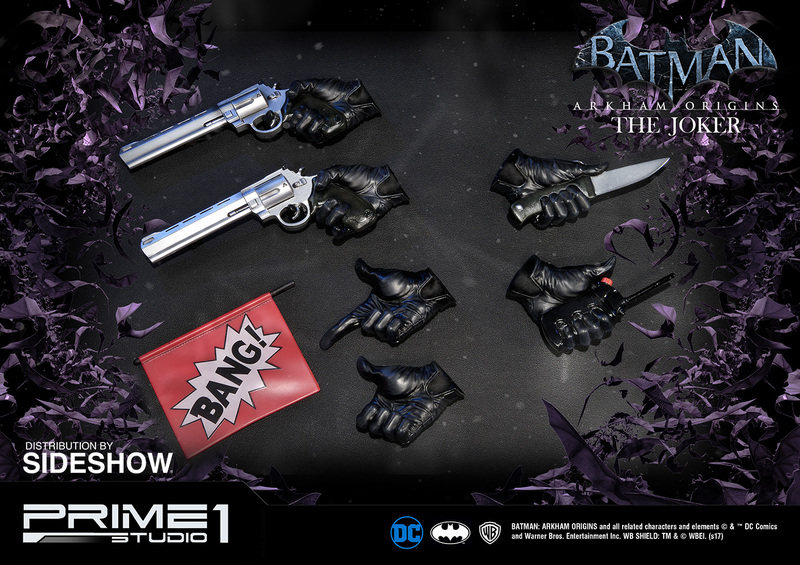 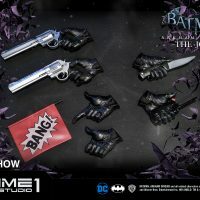 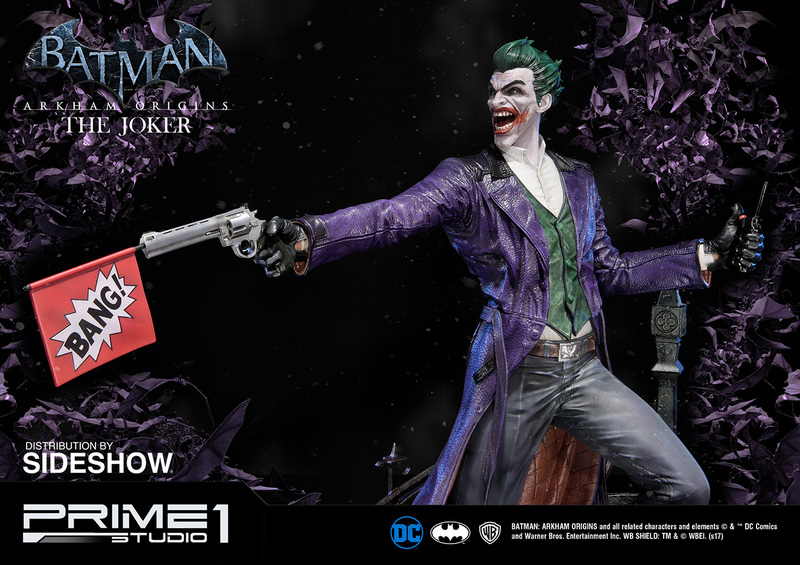 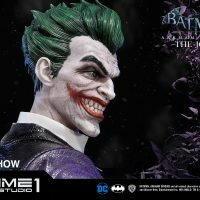 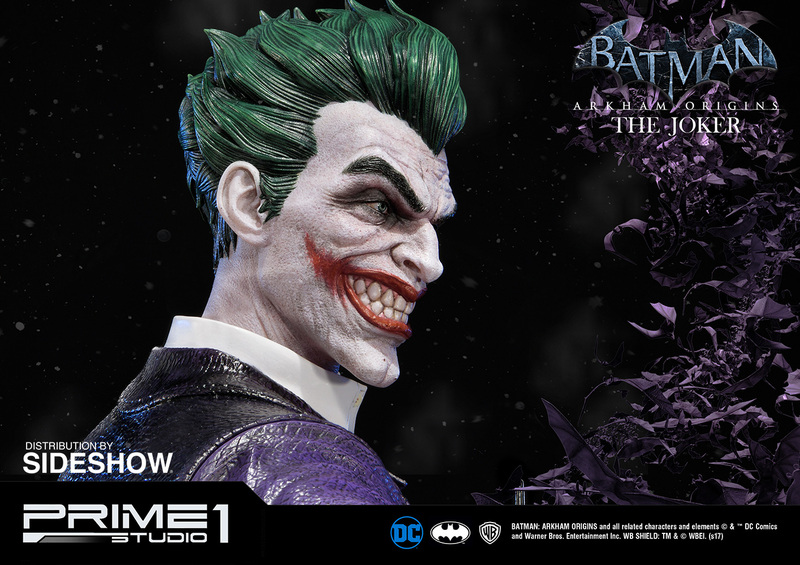 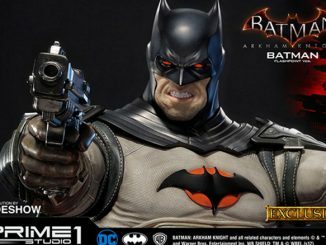 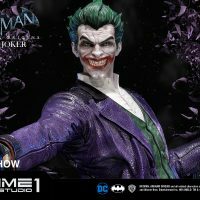 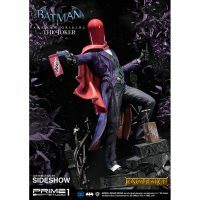 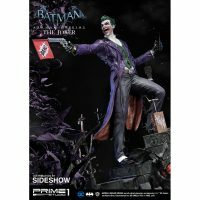 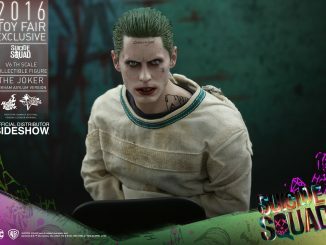 Based on the character in the Batman: Arkham Origins game and standing almost 3-feet tall, the Joker is armed with a variety of weapons, in addition to 3 interchangeable Joker portraits and 1 Red Hood portrait (included with the Exclusive version only). 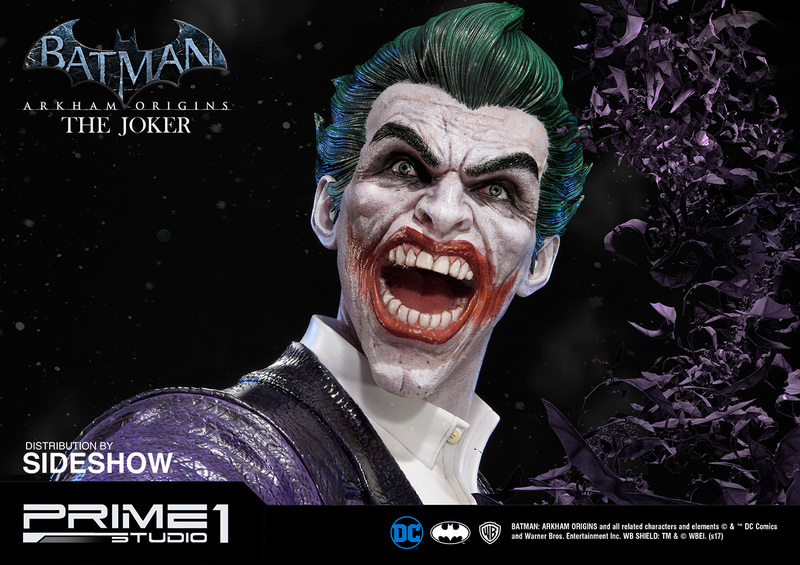 Coming May 2018 – Jul 2018. 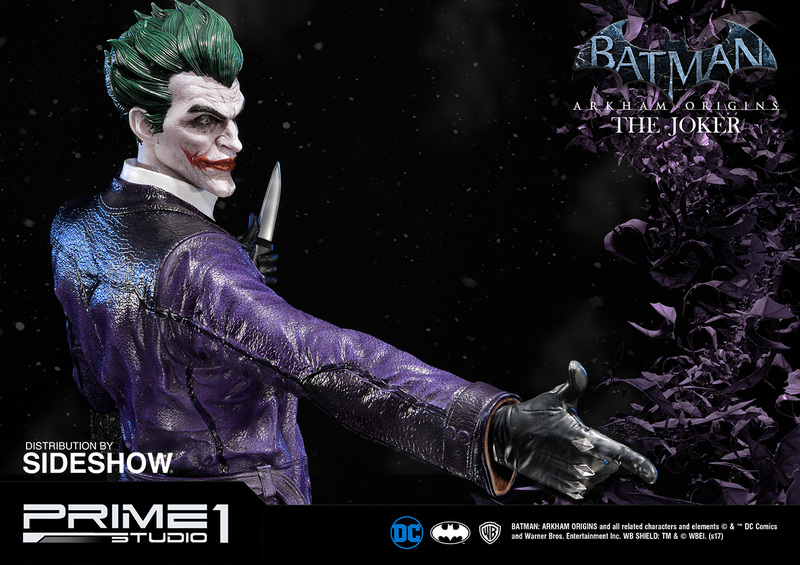 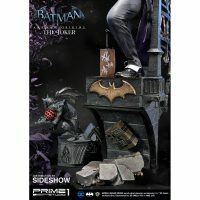 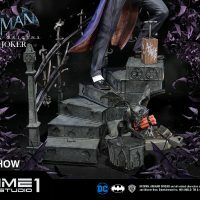 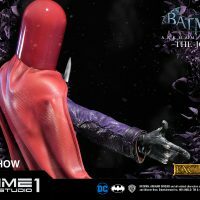 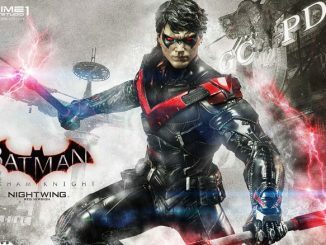 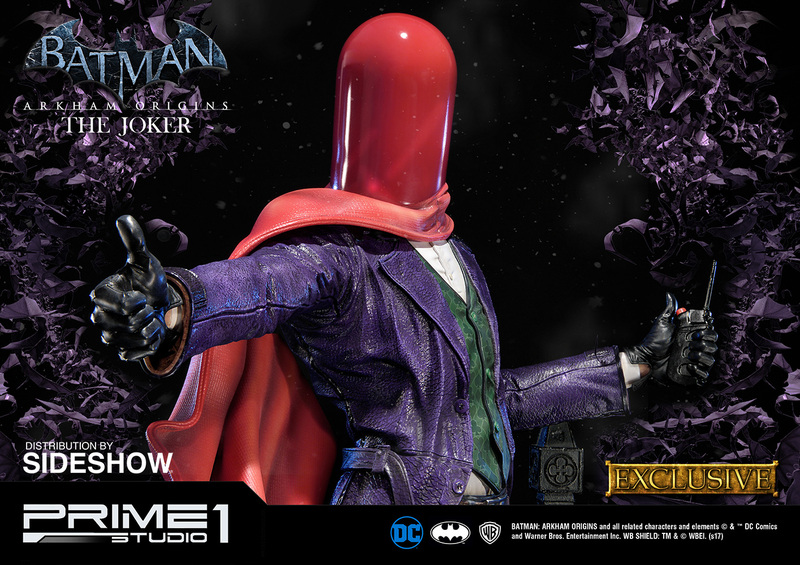 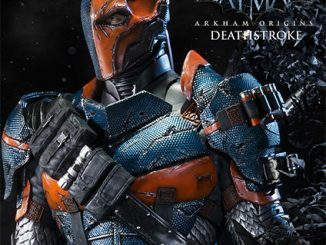 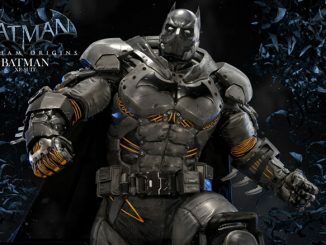 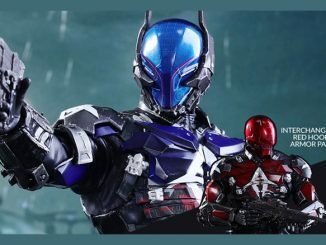 Pre-order now for $1,049.99 at Sideshow Collectibles. 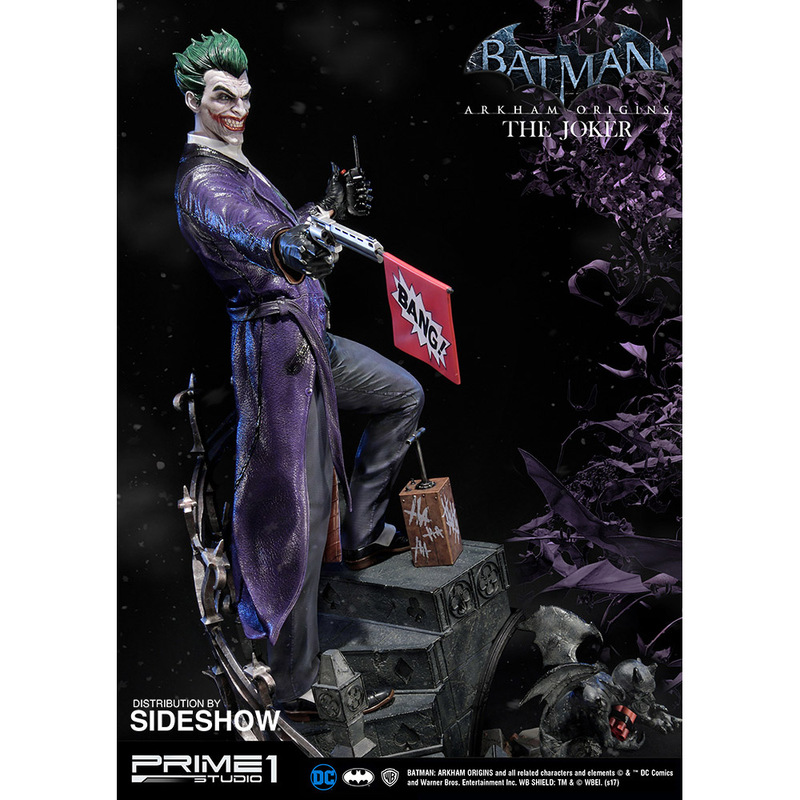 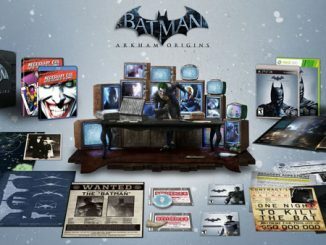 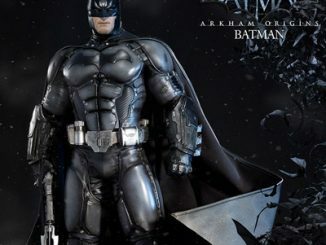 Find great deals on Batman: Arkham Origins merchandise at Rout.com.